I have mixed feelings about Broma Latina in Puerto de la Cruz. The staff were friendly, it’s in a location I really like, some of the food we ate was very good and we had an enjoyable night with a couple of friends. But the more I thought about our experience afterwards, the more I remembered some things that were a bit odd. We’d chosen Broma Latina thanks to the fact they actually had a website and facebook page (we applaud any Tenerife business that makes any effort to promote themselves) which showed the cuisine they served was gourmet Italian. Reviews on Tripadvisor were generally very good, plus they had responded to some criticism on the travel site by saying they only had a small menu because they liked to prepare food fresh each day. I liked their philosophy. 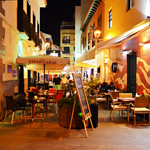 Broma Latina is located at the harbour end of Calle Agustín de Bethencourt. 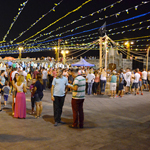 It’s a street which buzzes with atmopshere as it’s popular with local diners. It’s a good looking restaurant with stylishly modern décor and an exterior dining area, essential on a hot August night. 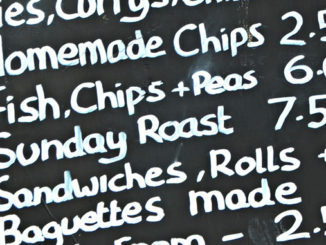 The menu is small and in theory should be simple to understand. Our waiter took time to explain everything on it and how it all worked… in great detail, which was very nice of him but confused the hell out of us. Quite a feat considering it wasn’t an extensive menu. There were a couple of things on the tapas menu we didn’t recognise, even when it was explained what they were. 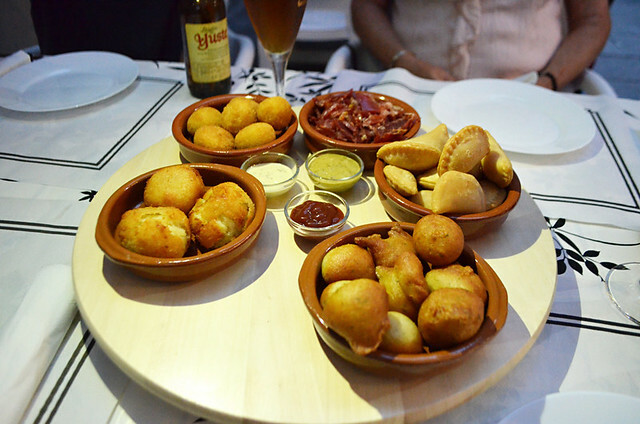 It’s been a long time since we didn’t know what a tapa was, especially one which was supposed to be Canarian. I’m still not sure what ‘lio Canario’ is. Next thing we learned was that we didn’t know as many local fish as we thought we did; the fresh fish of the day had a name none of us had heard before. It was familiar looking (it looked just like bocinegro) but the name used wasn’t. It’s not a name on the list of local fish on the poster in the nearby fishmonger. Whatever the fish’s name, we had already decided we were having the recommended pastas of the day, homemade ravioli filled with meat and salmon-filled black ravioli. Ordering the wine threw up another odd little conversation with the waiter, that Italians liked their red wine warm. 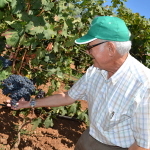 Warm red wine wasn’t something we’d encountered in any restaurant in Italy last year. Not being into drinking wine the temperature of bull’s blood, we asked that it be slightly chilled to about 17C. By this time we decided that maybe there was a wee bit of bull going on. But we liked the guy, he was fun and friendly and it wasn’t a dealbreaker. We gave our order, downed a bottle of beer (interestingly no Italian beers on the menu) and chatted whilst we waited. First up was what I think of as a Scottish tapas platter – everything was fried. The mini tuna empanadas (pies) were better than the usual tomato dominated empanadas and the fried cod balls were good; the bomba Mexicana (meat filled potato balls with a crispy coating) were even better. Best of all were jalapeños filled with cream cheese. 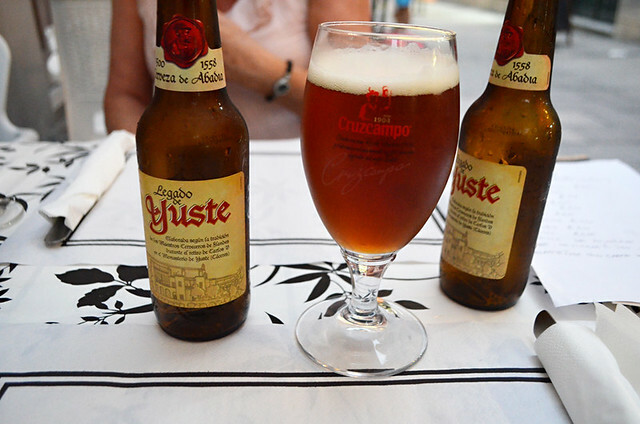 Washed down with Belgian style Spanish beer Legado de Yuste, it was a promising start. As we were still munching our way through the tapas, the pasta dishes arrived. We looked at them in a bemused sort of way and they were hastily transferred to another table. Crisis averted we finished the tapas and this time the pasta dishes arrived at the appropriate time. Or, more accurately, three of them arrived. One had been unaccountably delayed. What I couldn’t quite understand was how they couldn’t successfully cook the fresh pasta so we were all served at the same time. 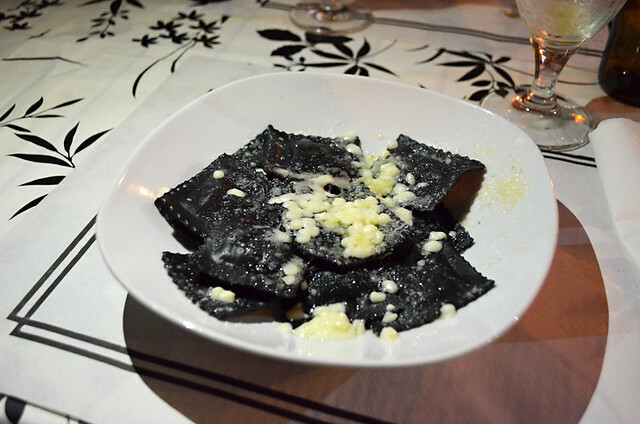 We’d ordered two ravioli blancas and two negras; it should have been a doddle. Plus there was only one other small group of diners, so it wasn’t as though the chef was rushed of their feet. Tucking into your pasta when one of your party sits meal-less takes the gloss of the experience, especially when, to add insult to injury, the wine hadn’t made it to the table either. The ravioli with meat was okay but didn’t have that much of a personality. The black ravioli with salmon was the more flavoursome of the two dishes although the raviloi was a tad on the al dente side. I enjoyed it, but I’ve had better fresh pastas in a couple of other Italian restaurants in Puerto de la Cruz. Like I said at the start, ultimately we had an enjoyable night as we always do with our friends. But there were too many things that weren’t quite right. Most were only minor, but not serving all the main meals at the same time is a restaurant sin that is unforgiveable. The people at Broma Latina seemed quite passionate about what they were trying to do and I like the philosophy of keeping a small menu and using only fresh produce. However, we wondered if there was a lack of experience when it came to actually running a restaurant. It was quite the most haphazard dining experience we’ve had in a long time. 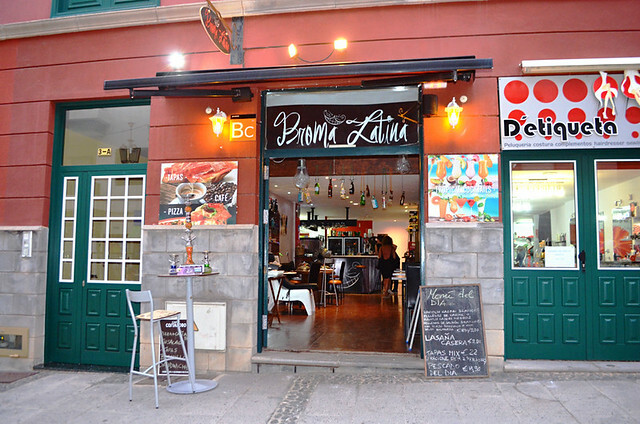 Broma Latina; Calle Agustín de Bethencourt,3; Puerto de la Cruz; Tel +34 922 078 143, pasta dishes are €9/10.